This page lists various associations the parish of Carsphairn has with the Covenanters. Marks where John Dempster was shot by Grierson of Lag's dragoons. Burial ground of MacAdam of Waterhead family, which mentions James and Gilbert, Covenanters. 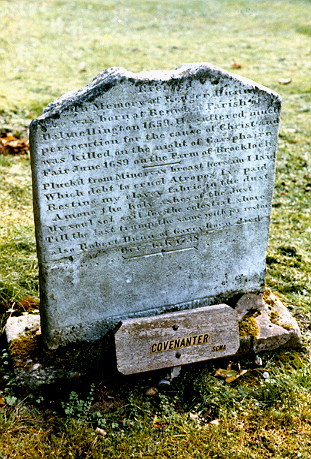 Shot by the Covenanters under Black James MacMichael on 11 December 1684.